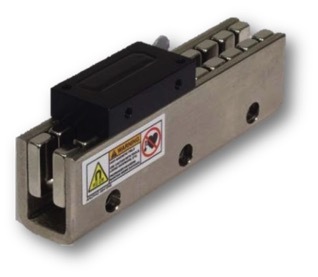 Allow us a quick moment to shine the spotlight on one of our more impressive precision motion systems, the 1304 Series Linear Motor XY Slide. 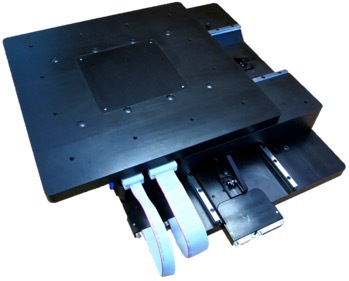 It boasts the same high standards for linear accuracy (<0.0005") and orthogonality (<9 arc seconds) as our standard XY's, but it also has shockingly impressive stats for acceleration (around 2 G's), speed (unknown since we've never reached top speed before running out of room), and encoder positional accuracy 0.1 µm. 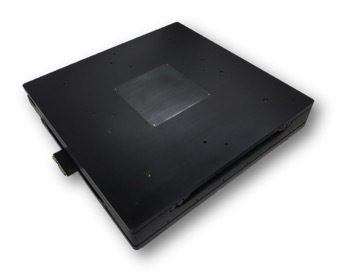 These systems are typically used in high-speed production systems where low cycle time and ultra precision accuracy are of the highest importance. As an example, say an application required spot welds 1/4" apart as quickly as possible. 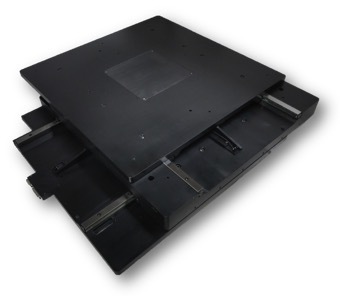 Accounting for acceleration and deceleration, our base level linear motor table would perform those welds 20 times per second with staggering accuracy. • Precision rolled ball screws are standard and provide a high level of positional accuracy with minimal backlash. Ground screws are available as an option.